It's 1939. 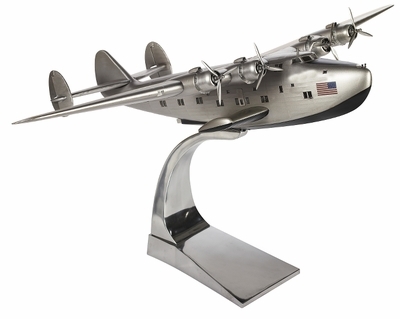 PanAm receives the first Boeing 314, the ultimate in luxury aircraft.�Complete with sleeping berths and a real dining salon. It was the biggest plane of its time, carrying 74 passengers. 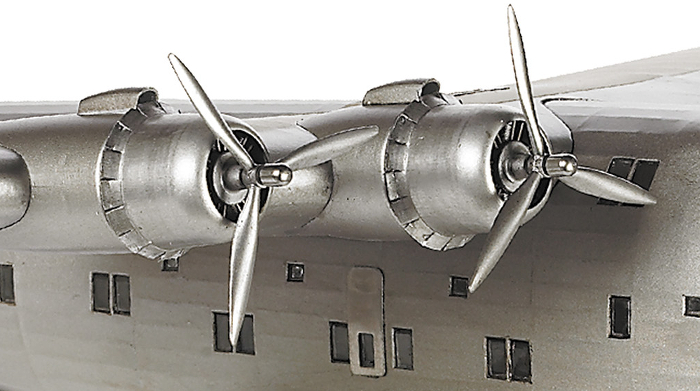 The big flying boats were replaced after the war by land-based planes. With their demise an era of elegance passed that was never seen again. 152 ft wingspan. Five days, sixty hours in the air SFO-HK. When flying was still fun. Detailed down to the rivets!